A few hectic weeks have once again interrupted my reviewing, how rude of life to get in the way! I've had some awesome beers in that time with some awesome people! Here's a wrap up of those that have earned Untappd badges. Wookey Jack from Firestone Walker is my favourite Black IPA in the world! It's a big call I know, but it's just spectacular! The malts are nicely roasted and compliment the predominantly piney hops. The real star is the rye spiciness, which cuts through everything beautifully. Hopped Up (Level 24) is why I'm telling you about it. Yet another 2 badge earning beer was Abita's Andygator. It's a Maibock, an interesting German style of lager. It was quite a sweet malty beer with some floral and cherry characteristics to finish it off. Abita: Normal is Nothing and Land of the Free (Level 41) were the badges. Bach Brewing from New Zealand are making some excellent beers, although they rarely reach our shores. Their All Day Ale unlocked Drink Like a Kiwi (Level 24) for me. It's a mid-strength beer and has good flavour considering. There's good malt flavour, despite the thin body of the beer, and just enough hops to keep me interested. I'm not really a big fan of English Bitter's but this one was one I could quite easily see myself drinking again. I went to a Beer Thread catchup at Tru Bru over the weekend just passed. It was a great afternoon, which for a few of us extending to Foresters finishing around 2 in the morning. BrewDog's Cocoa Psycho was one of the beers I tried. It was a really nicely balanced Russian Imperial Stout, it was everything you expect from BrewDog, big on flavour roast and coffee and ABV. It unlocked Heavyweight (Level 37) and was bloody delicious! I very rarely drink new German beers these days, why I'm not sure. 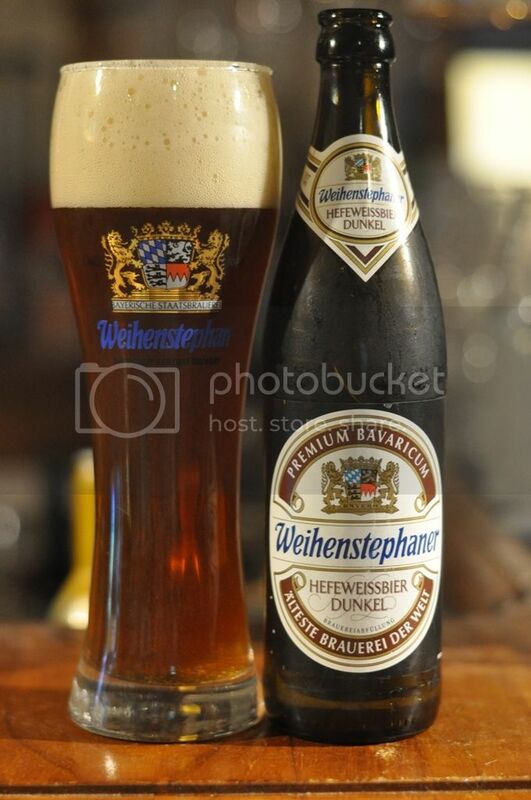 Weihenstephaner's Dunkel is a beer that I know I've had before, but clearly not since I joined Untappd... In any case it unlocked Das Boot (Level 9). It's a Dunkelweizen, a style I love but don't drink anywhere enough of. This is a lovely example of the style with the banana wheat flavour complimented by hints of clove, brown sugar and dark fruits. It's a Dunkelweizen I'd recommend to those looking to try one, it's also probably the easiest to find in Australia. So there we have it, hopefully next week I'll get a chance to get some reviews out. I've got lots of stuff that I want to review in full. Keep the suggestions for beers to try coming in, I've got heaps stashed away but more never hurts. I'm attempting to get to all of your emails over the next day or two so don't fret. Gus.norris7@gmail.com if you want to send more and add to my list of emails to reply to or @Beeroclockau on Twitter. Thanks guys.